PT Bank Pembangunan Daerah Sulawesi Selatan dan Sulawesi Barat - BPD Sulselbar or known as Bank Sulselbar is a reputable regional development bank in Indonesia, based in South Sulawesi and West Sulawesi. Bank Sulselbar is the Regional Development Bank of South Sulawesi and West Sulawesi Provinces and is owned together by the Provincial Government of South Sulawesi and West Sulawesi with all the Government of City / County in South Sulawesi and West Sulawesi. 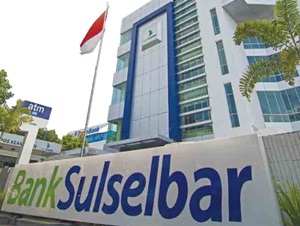 As of December 2016, Bank Sulselbar is 35.04% owned by the Provincial Government of South Sulawesi, 1.23% by the Provincial Government of West Sulawesi, 58.70% by the District/City Governments in South Sulawesi and 5.03% by the District/City Governments in West Sulawesi. Headquartered in Makassar, Bank Sulserbar now has 31 conventional branch offices, 4 sharia branch offices, 2 sub branch offices, 49 cash offices, 25 sharia service offices, 7 payment points, 13 mobile cash units, 147 conventional ATMs, and 5 sharia ATMs. In 2016, Bank Sulselbar recorded a satisfactory performance growth. According to PT Bank Pembangunan Daerah Sulawesi Selatan dan Sulawesi Barat Annual Report 2016 as cited by JobsCDC.com, Bank Jateng posted an increase of 41% in total assets from Rp 11,520.30 billion in 2015 to Rp 16,242.23 billion in 2016. Total profit before tax in 2016 amounted to Rp 814.53 billion in 2016, which represented an increase of 20.70% over total profit before tax recorded in 2015 of Rp 674.81 billion. Maximum age of 35 years old (R04AK) and 40 years old (R01PDPK. R02PDS, R03PCS). Minimum Bachelor Degree (S1) with accredited B. Well behaved, never dismissed with disrespect as an employee. The latest appointment decree indicating that the applicant has held a position at the same level as the Branch Leader / Department Leader (minimum level manager). The organizational structure of the previous workplace that indicates the level of position of the applicant. Especially for prohire sharia is required to have manager level work experience in sharia banking institutions. Minimum 5 years of experience in the field of credit analyst in banking industry. Have experience and expertise in the field of credit analyst by showing the loan portfolio the last 3 years. Preferably who have experience doing a large limit credit analysis. JobsCDC.com now available on android device. Download now on Google Play here. Please be aware of recruitment fraud. The entire stage of this selection process is free of charge. Bank Sulselbar - Recruitment Professional Hire Program Bank Sulselbar March 2018 will never ask for fees or upfront payments for any purposes during the recruitment process such as transportation and accommodation.